Ever since I saw swatches of Charlotte Tilbury's Eyes to Mesmerise cream eyeshadows on ReallyRee's site back in March, I have been lusting after these. They finally landed on our shores on May 4th, all six glorious shades. Inspired by various women throughout history, the Eyes to Mesmerise collection is striking. I finally settled on two shades, Mona Lisa and Marie Antoinette. The packaging is gorgeous as usual - heavy frosted glass jars with 7ml of product inside. There's a suggestion on the boxes from Charlotte, saying you should apply these with her eye blender brush. 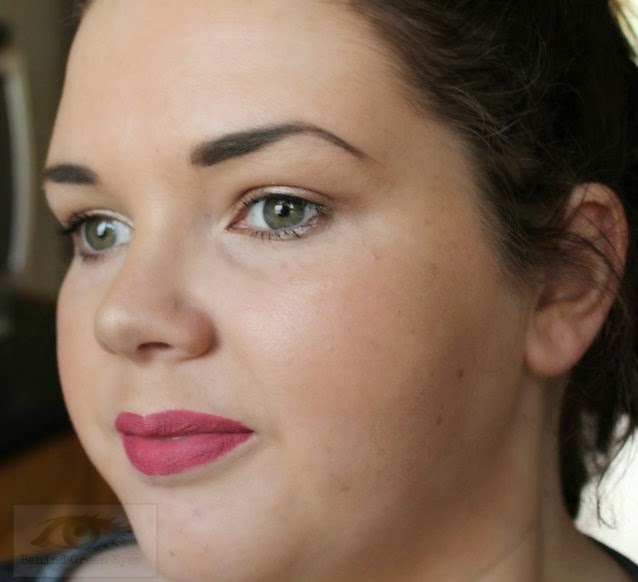 That blending brush is available from Brown Thomas. It's out of my price range, so I applied these with a Blank Canvas E26 blending brush instead. Do NOT go in to these with your fingers. They're extremely pigmented, so you'll end up with far too much on your fingers unless you have the phalanges of a very, very small child. wow, wow, wow! they are stunning! i want them all! i want to get a cream eyeshadow for my holidays since my chanel one shrivelled up and died on me…. these look amazing but i'd want to apply them with my fingers so i don't have to faff around with brushes! i think i would probably go for mona lisa it's a gorgeous colour! Oh my god, they're gorgeous!!! I'll have to get one now. 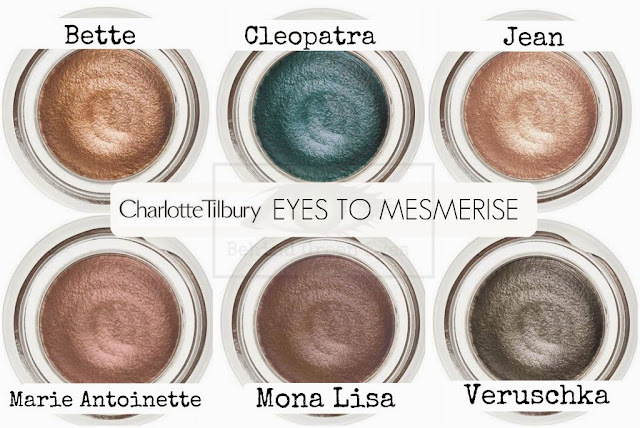 Charlotte Tilbury can do no wrong in my eyes. I lurve her stuff! It's not #26, it's #02, oops! I read the ingredients of these and they're the exact same as the Tom Ford ones, only Tom's got fruit extracts in. They look gorgeous on you, as does that lippy! Thank you! Lippie is menow from eBay, cheap as chips! Oh excellent to know, who needs fruit in your eyes anyway! !